What happens when a six night stand turns into a pregnancy a few weeks later? Well that’s the premise of this brilliant, smartly written, hilarious comedy that’s so honest that it hurts (in a good way). It also has a whacky supporting cast that adds color to this sharp, vibrant series that grabs you from the get go and will keep you laughing at the story lines, and the fabulous one liners that not only cuts with sarcasm, but with the ring of truth and rather than stinging, it makes you laugh. It’s genius in every way and nothing like anything else out there. 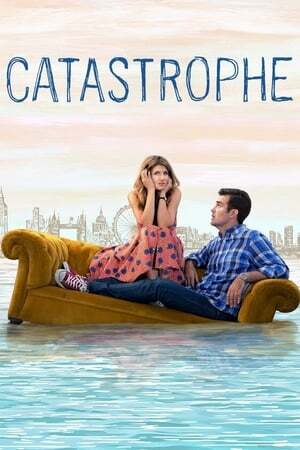 Anyone with good taste who enjoys comedy won’t be able to say no to this wonderful, creative and funny show with a heart that takes place in London involving an American Ad agent Rob (Rob Delaney) and an Irish schoolteacher Sharon (Sharon Horgan) who makes falling in love a hilarious adventure that hasn’t been captured quite like this. And as a bonus, the late, great Carrie Fisher (that’s Princess Leia of Star Wars fame) plays Rob’s mother so you know, the force is definitely with this one.